SUPREMATouch modular design meets the requirements of this diverse range of industries and applications and complies with all relevant global safety standards. It builds on the success of the original innovative SUPREMA design and includes a large colour touch screen display, enhanced processing power and addressable fire and detector capability. It can be used with a wide range of detectors including flammable and toxic gas, oxygen, smoke, fire and heat and manual call points. 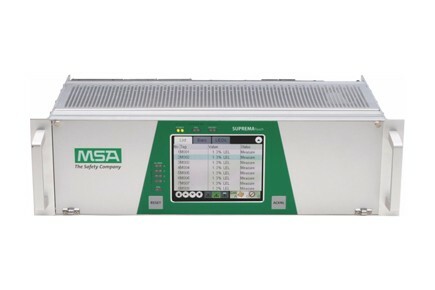 A range of outputs are provided including relay, analogue and digital for communication between racks and which allows inter facing to external systems using Modbus or Profibus.